Over coffee at the Conservatory a few months back, a friend spoke about this cheap and good butchery which he found ‘somewhere in Dengkil’. Apparently, the wagyu there cost RM29 per kg, uncooked. I told rif about this and we started googling for more info on the place. We didn’t find the butcher my friend spoke about, but discovered [email protected] instead. All meats come from Syamille Agro Farm, a wholly own (100%) Bumiputera company that breeds high quality goats and cattles. Décor here is quite basic, but I found the tables rather impractical. 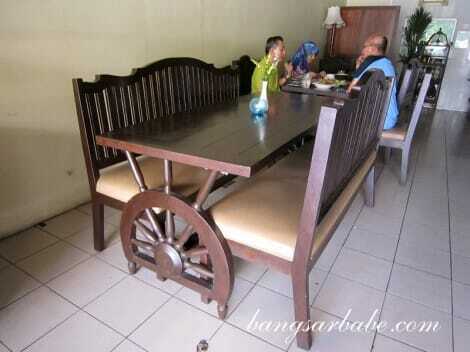 It was almost impossible to cross your legs with such a huge ‘wheel’ as the table legs. We wanted to try the wagyu, but they didn’t have any in stock so we settled for the Angus Steak instead (RM55 for 250gm). I wanted a larger piece of meat but the waiter convinced me that 250gm was more than enough. It was, simply because I didn’t find the meat to-die-for. Granted it was cooked to medium doneness, the outsides were not nicely charred and the meat lacked flavour. A bit of black pepper sauce did the trick. 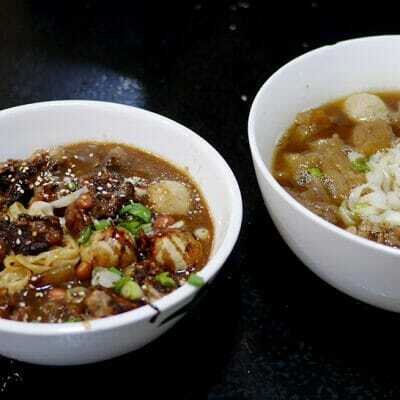 The sides were kept simple – mash potato and coleslaw – which I didn’t care for. 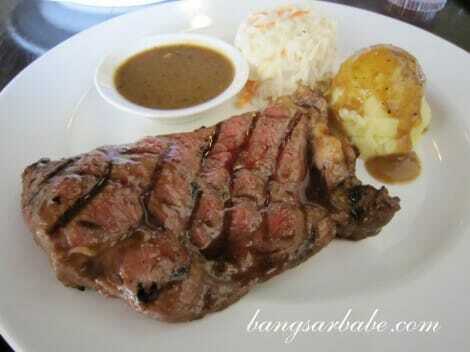 For RM55, it wasn’t cheap; comparable to Las Vacas and I prefer the latter. 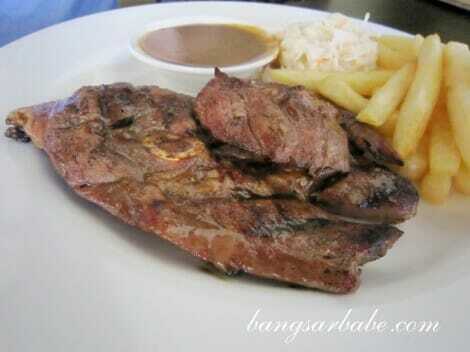 We also tried the lamb chump (RM25), the part next to the lamb leg. This was tastier than the beef – the meat was tender and more flavourful. 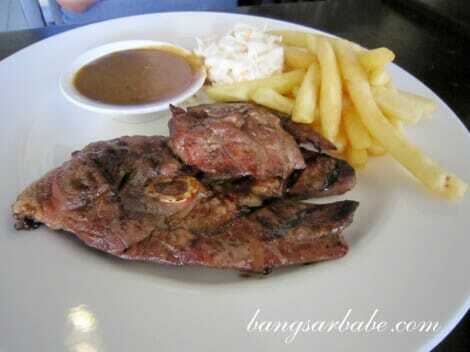 Those who find lamb chops too fatty might enjoy this better. 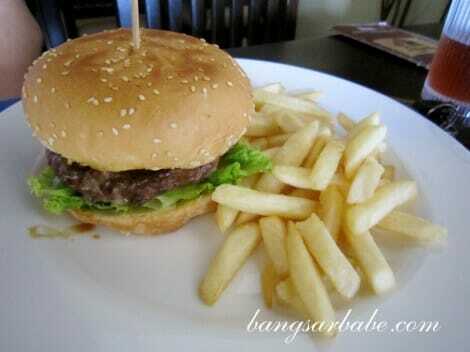 The beef burger (RM14.99) was nothing to shout about. While the patty was made from fresh ground beef, I found it dry and lacking in flavour. rif was equally disappointed. Overall, the food was nothing to shout about. Prices seemed cheap at first, but after totaling everything up, the bill came up to RM97.99 for the above inclusive of two drinks (RM1.50 each). 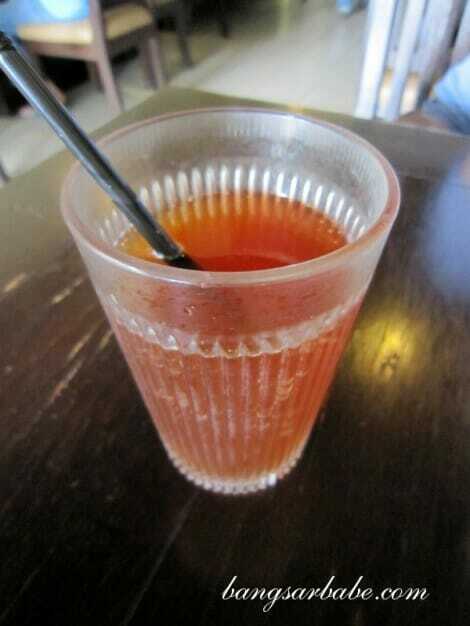 The drinks are refillable by the way; there’s ice lemon tea, ice peach tea and Nescafe to choose from. Verdict: Decent meat quality but the cooking style doesn’t do them justice. So the cows are reared in Malaysia? I still think Prime is the best.. with the Starwood card certain cuts are not too expensive. Yup. They are reared locally. I like using the Starwood card, but problem with me is, I always go for the 1kg Prime Rib + starter + dessert. So dinner is never less than RM400 for two pax. Aiyo…then have to save $$ to go. Did you like the steaks there? I’m no steak expert myself. 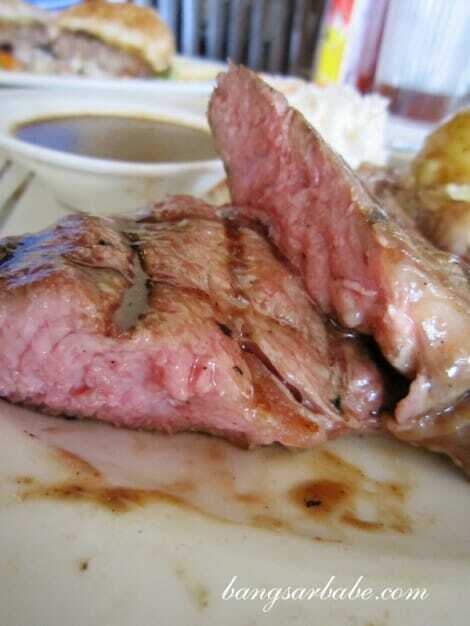 I just like my meats juicy, flavourful and done medium/medium rare. 🙂 And if it’s cheap, even better!